So, since I've drawn up a picture I liked ages ago on paper, I felt like drawing this up. 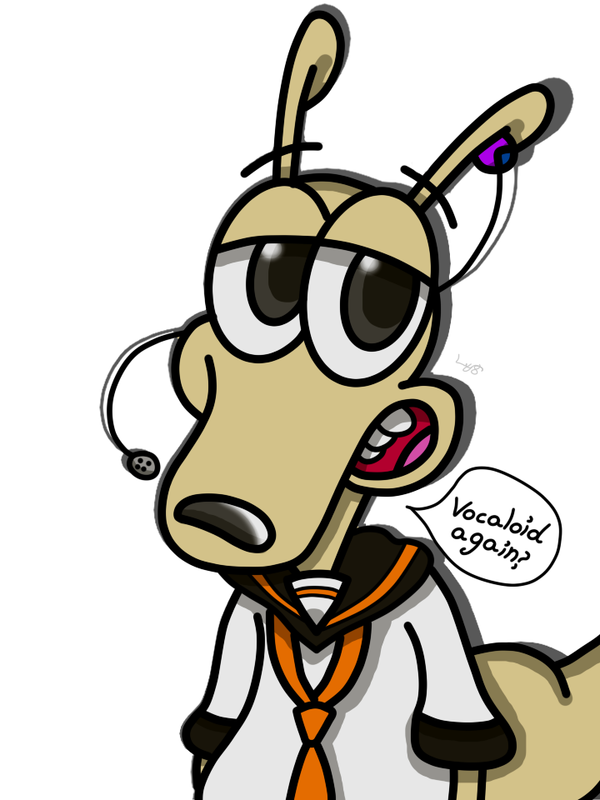 Rocko is like, Vocaloid again? This actually looks cute though. Rocko belongs to Nickelodeon, art is mine.